Experienced Custom Fabrication (Engineering, Welding, Machining, and Testing) - Meyer Tool & Mfg. Our experience is what sets us apart from your standard machine shop. We have developed our skills over the past 49 years making one-of-a- kind products for the nations National Laboratories, primarily in support of particle accelerator activity. This work is extremely challenging and only a handful of shops in the country even attempt to take on the complex pressure vessels, vacuum chambers, and cryogenic systems required to keep the particle colliders operating in peak condition. We apply the processes and skills we have developed making some of the most unique and complex systems imaginable to a diverse mix of industry applications. We service customers that have a tough fabrication problem to be solved and they are either unhappy with their current supply chain or their current list of go to fabricators are not specialized enough to consistently deliver the quality required to get the job done. We have an extensive list of industry leading customers, glowing testimonials, and memorable case studies that supports our spot as one of the top custom fabrication shops in the country. 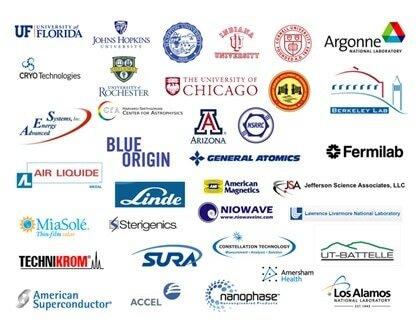 We serve National Labs, research universities, and industry leading corporations across a wide array of products and industries. Meyer Tool was started back in 1969 primarily servicing the two National Labs in the Chicago Area, (Fermi and Argonne), with custom machined components to support ongoing particle accelerator projects. The company has grown to include engineering, welding, and testing capabilities. The particle accelerator and high energy physics industry remains a large part of our business to this day. After 47 years of dedicated customer service, we have become a trusted supplier to industry leading organizations around the globe. Our components and assemblies are installed in the most cutting edge research facilities on the planet. We apply the knowledge we have gained making one of a kind products in very specialized and niche industry to unique engineering, welding, machining, and testing challenges. Our customer is not defined by a product or industry but rather they are identified as an organization in need of expert fabrication problem solving skills related to pressure vessel, vacuum chamber, or cryogenic system related challenges. 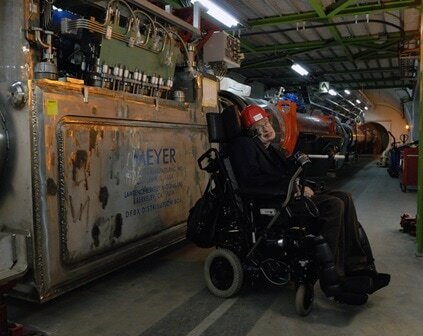 Stephen Hawking in front of a Meyer Tool custom cryogenic distribution box that is installed in the Large Hadron Collider at CERN. It is very difficult to summarize our organization by the products that we make or the services that we offer. On the surface we are a job shop with engineering, welding, machining, and testing capabilities. However, it is hard to get across the fact that we apply those skills on some of the most challenging fabrication projects imaginable. We have made large scale cryogenic distribution boxes in use at the Large Hadron Collider at CERN, vacuum chambers used to study plasma physics, cryostats that cool down the sensors of a deep space telescope as it measures gravity waves floating through the universe. We also make a wide range of more practical vessels and chambers such as carbon steel membrane pressure vessels used to process natural gas, high precision machined weldments used inside lab grown diamond vacuum chambers, and jacketed stainless steel centrifugal vessels used to process animal blood for vaccines. We do not make a given set of products. We have developed a highly specialized set of processes and skills that allow us to trouble shoot prototype scale vacuum, pressure, and cryogenic projects and help our customers turn them into successful high volume production runs. We solve fabrication problems we don't just make products. We are a family owned small business. A large number of the customers we serve today are the same customers we served when the company was founded back in 1969. We pride ourselves on complete customer satisfaction and meticulous attention to detail. You cannot stay in business for almost 50 years without finding ways to consistently make your customers happy. We have collected an extensive list of customer testimonials and honest customer feedback. Our customers will speak to the fact that we strive to add value based on our unique mix of price, delivery, and customer satisfaction. Many fabrication shops can speak to the fact that they deliver high quality products. Not many fabrication shops can delivery high quality product based on first of its kind prototype runs of high energy physics related components. Quality has a whole new meaning when a particle collider can fail if the assembly you provide falls even slightly out of spec. Our small business mindset is apparent in the amount of personal attention our engineering staff provides to our customers to understand their needs and optimize their product designs for fabrication.